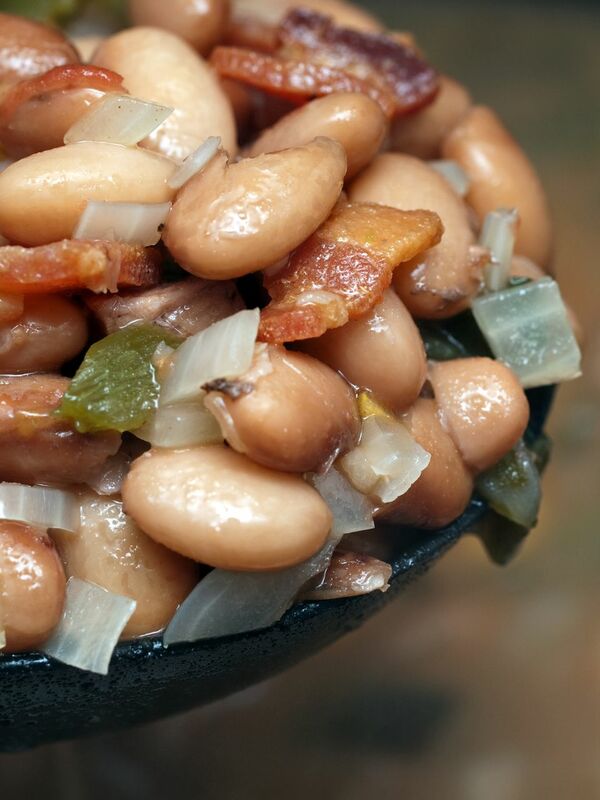 This is an easy slow-cooked pinto beans recipe. The dish includes tomatoes and seasonings, chopped celery, diced ham, and chopped carrots. Some cooked diced bacon makes a suitable replacement for the ham, or add some along with the ham. Crumbled and browned sausage or diced or sliced smoked sausage are excellent alternatives as well. If you prefer vegetarian beans, omit the ham and increase the carrots, bell pepper, and celery to 3/4 to 1 cup each. The recipe calls for pinto beans, but if you prefer another kind of bean, feel free to substitute. Great northern beans, navy beans, and small red beans are also good choices. Go out and do some errands or get some exercise and walk the dog while this marvelous bean mixture is cooking away in the crock pot. When you're back home, your feast for friends or family will be ready and waiting for you. Combine all of the listed ingredients in the slow cooker. Stir to blend before serving. If you prefer dry beans, cook them until they are tender before you add them to the slow cooker.